Every once in a great while we meet a kindred spirit or teacher and all we can do is thank our lucky stars and make the most of the meeting. I took my moment with Dr. Samantha Vanderslice and wanted to share her many gifts with you. She is a wonderful addition to your event or festival or as a present to your VIP’s and staff. Certified through Doreen Virtue’s course, Samantha channels angelic messages through a variety of divination cards. An hour session is $80. Customized massages based on individual needs. 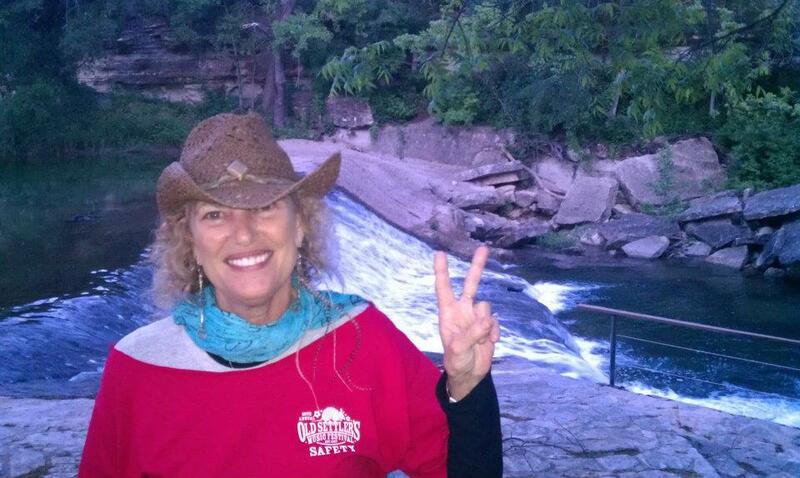 With over 30 years experience, Samantha was voted “Best Massage in South Lake Travis” for 3 years running. An hour session is $80. 1-1/2 hour session is $110. Reiki Master/Crystal Body Work Reiki is an ancient form of hands-on healing that directs Divine energy for rebalancing the chakras, detoxifying the body, and bringing peace to the mind and emotions. Combined with the healing vibrations of crystals and gemstone, this experience realigns all the bodies. An hour session is $80. 1-1/2 hour session is $110. Experience a combination of a one hour deep tissue massage on the back of the body, followed by a half hour Reiki and crystal energy work on the front. $120 per session. The Bach Flower Remedies are a system of healing emotional and mental stress, which is the cause of most diseases. Developed in the 1930s by Dr. Edward Bach, the essences help balance the physical body, assist in identifying and eliminating negative mental and emotional blockages, and connect us with our Higher Consciousness. Samantha is a Bach Flower Practitioner and trainer and has used Bach in her healing and massage practice for over two decades. An hour consultation includes your own personalized remedy and the book The 38 Bach Flower Essences: An Introduction & Guide to Flower Essences Consultation with personalized remedy $60. Samantha teaches a Bach Flower Basics course for Level I certification from the Bach Center which offers 6 CEUs for massage therapists and body workers. Fall of 2013 she complete her training to teach Bach Flower Animal Practitioner certification classes. January 2014 she will become a Bach Flower International Trainer, offering the full 2-day Level I certification with 12.5 CEUs for massage therapists and body workers. Samantha is an herbalist with over 25 years in the natural health industry. Come by the shop for suggestions, information and inspiration. A complete guidance program is available by appointment. This includes the latest nutritional information, suggested herbs & supplementation, recipes, exercise ideas, essential oils, flower essences, crystals, and consciousness tools & techniques Nutritional Guidance program $200. Eliminate negative or stuck energy in your home or on your land, and bring in positive, divine vibrations through ritual and prayer. $250 and up. Affirmations to Create Positive Change; Altars & Rituals; Angels & Guides; Astrology Basics; Attracting True Love; Bach Flower Essences for Stress Relief; Chakras & Auras; Cleansing & Detoxifying; Color Therapy; Crystal & Gemstone Power; Dream Work; Essential Oils, The Art of; Essential Oils, the Science of; Feng Shui Basics; Healing the Inner Child; Herbal Approach to Women’s Health; How to Create the Life You Desire; How to Meditate; Magic of Herbs; Numerology Basics; Tarot Basics; Symbolism & Archetypes; Tools for Divination; Transforming Anger; Unlocking Creativity. Classes are 2-3 hours and range from $50 to $100, depending on supplies provided.